Former Iranian president Mohammad Khatami has condemned a recent Ahwazi solidarity conference in Egypt, claiming it was "not related to any real ethnics within Iran". 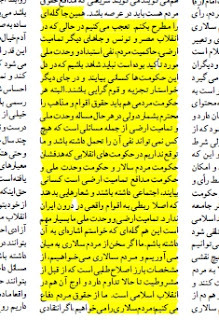 In an interview with the "Karoon" newspaper on 21 January, the man widely lauded as a "reformist" in the West appeared to deny the existence of Ahwazi Arabs as an ethnic group. He said: "I have a grumble. 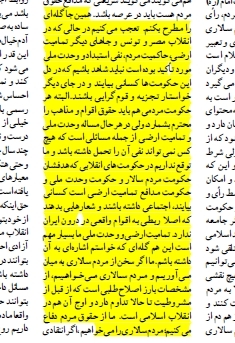 I am surprised that in the revolutions in Egypt, Tunisia and other countries, there were demands for integrity, people's government, anti-colonialism and national unity... We don't expect within revolutionary governments that are aiming for popular rule, national unity and defending state integrity people setting up a conference and making statements that are not related to any real ethnics within Iran." 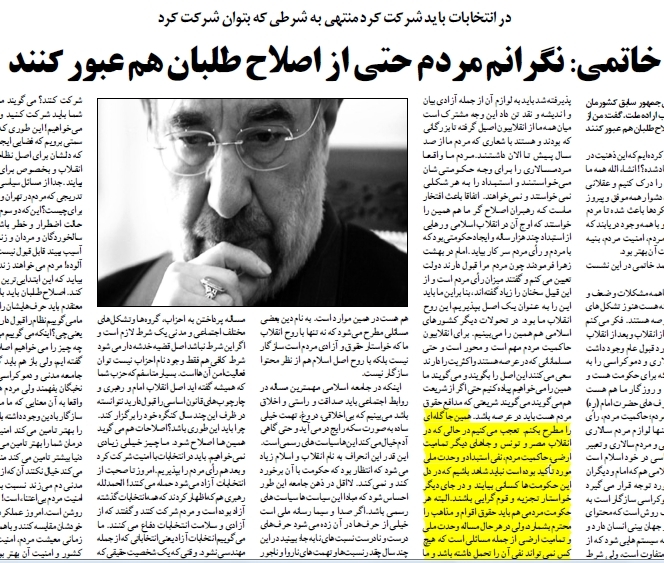 Despite his supposedly "reformist" stance, Khatami's administration sought to reduce the proportion of Arabs in Khuzestan from a majority to a third of the province's population, as revealed in a document leaked from the office of Vice President Ali Abtahi in 2005. The document, which was aired on various Arabic news networks, sparked widespread rioting by Ahwazi Arabs, resulting in the deaths of over 130 Ahwazis at the hands of security forces deployed on Khatami's orders. His crimes against humanity remain unacknowledged by his "Green Movement" sympathisers. While Khatami condemns displays of Arab solidarity with the persecuted Ahwazi Arabs, Iran remains the world's leading supporter of separatist movements and has long sought to divide and weaken Arab nations such as Lebanon, Yemen, Saudi Arabia and Iraq along sectarian lines. In most cases, it has supplied arms to proxy sectarian movements in order to undermine other countries' national integrity. 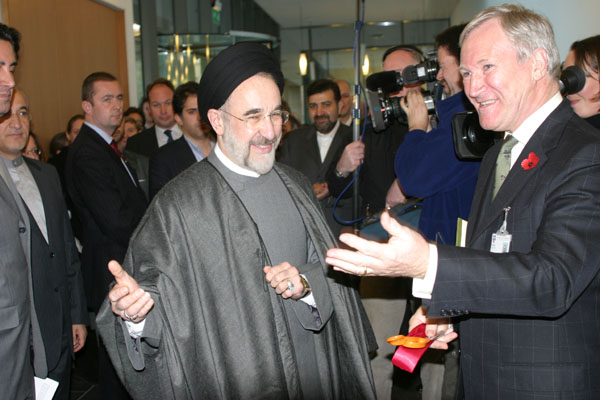 These policies were pursued under successive Iranian administrations, including Khatami's presidency. Egyptian presidential advisor Emad Abdel Ghaffour, the founder of newly founded Egypt's Al-Watan party, called for the conference "to be the launching pad for supporting the cause of the Arab people in every neighboring Arab country against the Persian occupation." The conference in Cairo, attended by leading religious and political figures, was an expression of solidarity with a persecuted people and voiced the opinion that Ahwazi Arabs would be better as a separate state. Unlike Iran, the Egyptian government is not providing arms, but allowing freedom of expression for a persecuted minority that is unable to win its legitimate and constitutional rights under the present regime. There has been outrage within the Iranian establishment over the expression of Arab solidarity. Alaeddin Boroujerdi, the chairman of the Iranian parliament's National Security and Foreign Policy Commission, accused the governments of Qatar and Saudi Arabia of sponsoring the "extremist" conference to damage Iran-Egypt relations. Apparently unaware that Egypt has overthrown its dictator and is now a civilian-led democracy, Boroujerdi demanded the Egyptian government to condemn and ban all pro-Ahwazi activism in Egypt, which he claimed was "unacceptable and unjustifiable."